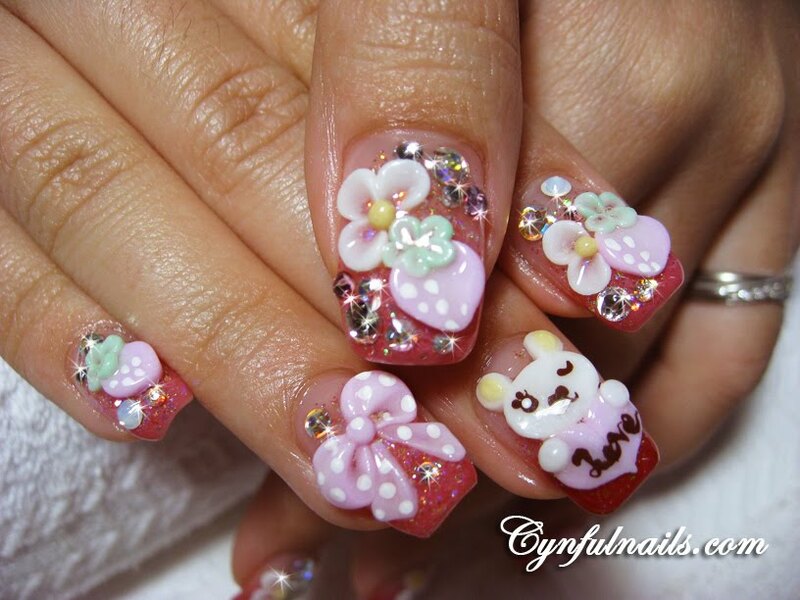 Cynful Nails: Happy Rabbit New Year! Minnie mousey nails! 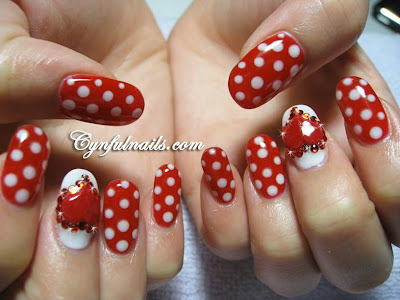 With a red heart with red crystals on the middle finger. Something different from the usual french style nails. Bunny, strawbies and polka dots ribbon! 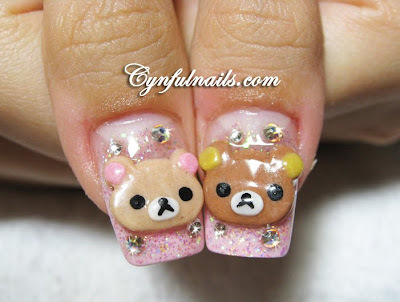 Cute or not!!!? Did them using acrylic powder and directly onto the nails. Heh. Pink and girly with double pink bows and lots of crystals!